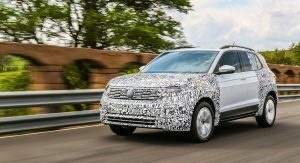 Volkswagen has been hard at work getting its newest crossover ready for the road. 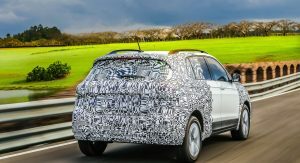 That’s involved testing prototypes in locations around the world, including Brazil, one of the countries where it will be produced for the local market. 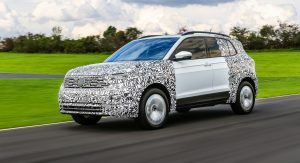 That model is the T-Cross, a new subcompact crossover slated to slot in below the new T-Roc and the larger Tiguan in the German automaker’s growing lineup of high-riding vehicles. It was first previewed in the form of the T-Cross Breeze concept at the 2016 Geneva Motor Show, featuring a convertible bodystyle that’s slated to give way to a more conventional fixed roof when it enters production. 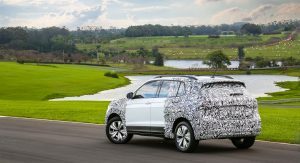 Based on the MQB modular platform, the T-Cross, as VW’s Brazilian subsidiary has now revealed) will stretch 4,199 mm (165 inches) long, stand 1,568 mm (62”) tall, and ride on a 2,651-mm (104”) wheelbase. In relative terms, that ought to position it size-wise in between the Ford EcoSport and Kuga/Escape, whittling out for itself another niche in a growing market. In South America at least, it will offer flex-fuel engines developing either 128 PS (124 HP) or 150 PS (147 HP), burning the ethanol fuel that’s prevalent in Brazil. 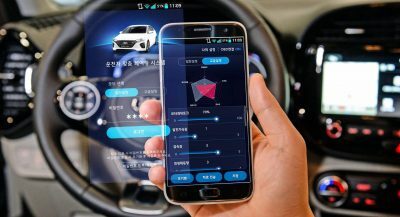 It’ll also offer a range of colors, including two-tone schemes, as well as a seven-speaker Beats audio system, an eight-inch infotainment display, and all the latest safety systems available from one of the world’s largest global automakers. Technical specifications will likely differ from one market to another. 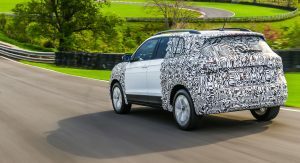 For better or worse, though, the T-Cross has been deemed to small for the North American market, where Volkswagen has launched the much larger Atlas and discontinued the higher-end Touareg. No, I changed my mind; that SUV is too small! I prefer the Atlas. Also, the design looked me unattractive. 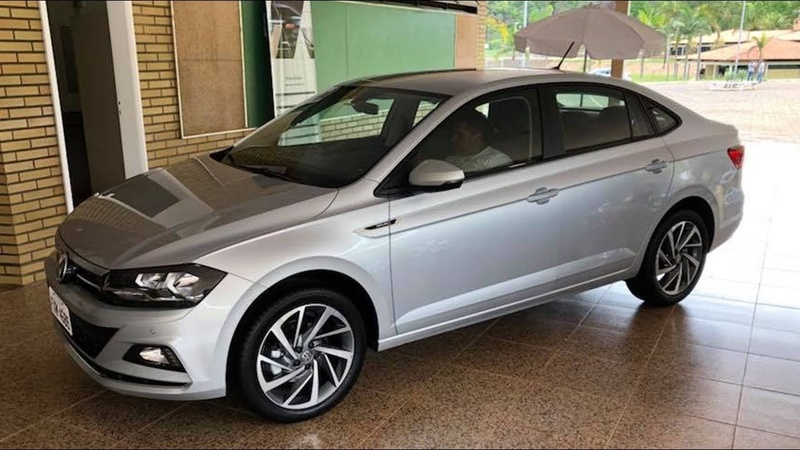 O modelo fabricado no Brasil sera feito sobre a plataforma MQB-A0, mas nas dimensões utilizadas no VW Virtus, que é o novo Polo sedan vendido no Brasil, por isso o entre-eixos maior. Mas até o momento o que se diz e que o modelo internacional será feito na mesma base do Polo, e que portanto será menor que o brasileiro. An estimated 30 cars were fully submerged, while many others were also ruined by the flood. Among the gorgeous supercars spotted in the British capital are a McLaren Senna, a Koenigsegg One:1 and a Ferrari F12tdf. The Mark X and its predecessor, the Mark II, have had a very long run that lasted 51 years. This GT-R that seems to have its roof chopped off proves that look can be deceiving. 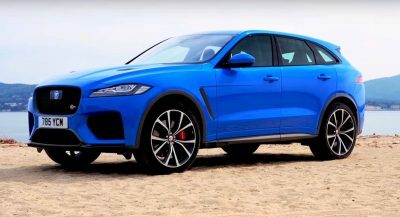 The 542 horsepower F-Pace SVR gets put to the test, comes out as a winner. While Mazda isn’t bring the Skyactiv-X engine to America anytime soon, the Mazda3 will get a new Skyactiv-G four-cylinder. Land Serwis is one of four Defender chassis builder in the world, and the only one outside the UK. With an ECU remap, the German tuner extracts 64 HP and 100 Nm more from the SUV’s twin-turbo V8. Car subscription services could be going mainstream thanks to rental car giant Enterprise. 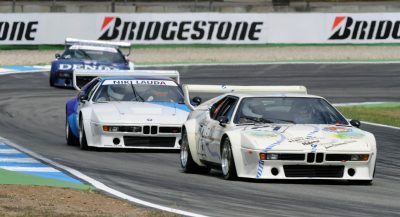 The latest ID.R has two electric motors which produce 671 hp and 479 lb-ft of torque.